TOKYO – Japan's Meteorological Agency says aerial photos have detected signs of undersea volcanic eruptions at Iwo Jima, the site of one of the bloodiest battles in World War II. 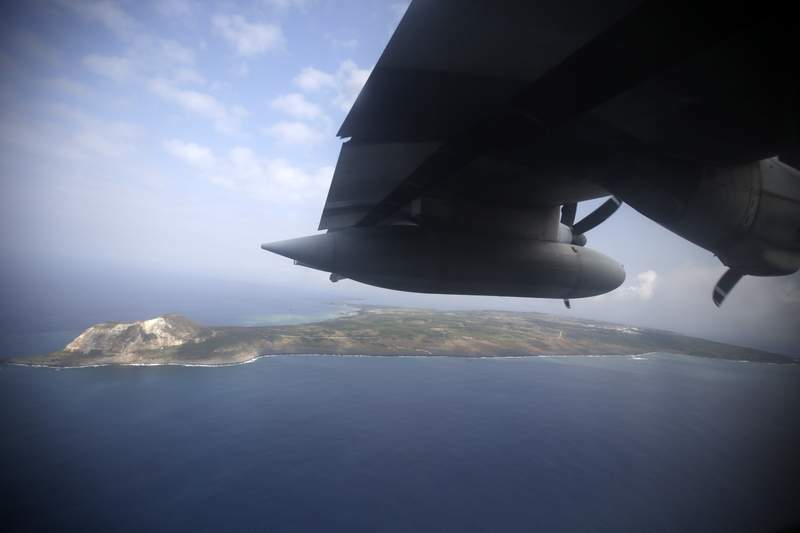 It said Wednesday that photos taken by navy aircraft showed seawater shooting as high as 10 meters (33 feet) above the surface just off the island's southern coast. The agency said the island, which has been renamed Ioto, has been showing increased volcanic activity since the weekend. Defense officials said troops stationed on the island are safe and there are no evacuation plans. Virtually all of the Japanese soldiers defending the tiny island died in the battle of Iwo Jima in early 1945 which claimed 21,570 Japanese and 6,821 American lives. Japan has about 100 active volcanoes.